Welcome to Tony Ramos Kajukenbo, Fairfield's original karate school. We have been providing blackbelt excellence since 1960. Our training facility is well equipped to serve the needs of the aspiring martial artist as well as those who seek out martial arts as a means to nourish the mind, body, and spirit. We have classes well suited for children and for the young at heart. Each training session is a well mix of calisthenics and cardio, which in time, helps you develop strength and endurance. Not only will you see the immediate effects that martial arts have, both on the mat and on the streets, it can also have lasting benefits to all other aspects of your life. Whether you desire a more fit you or desire the confidence and self-discipline that comes through martial arts, we can help you achieve your goals. What's more, you'll find that martial arts can have far reaching benefits to your overall well being. So stop on by today for a free, no obligation consultation and see how Tony Ramos Kajukenbo can make a difference in you. 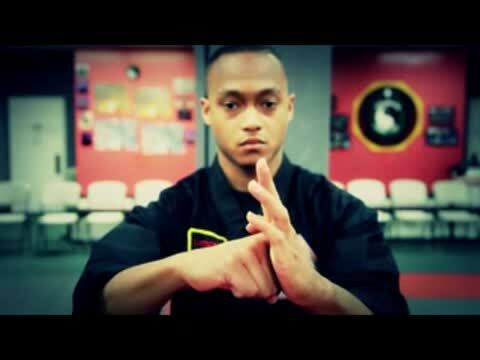 We teach the Ramos system of Kajukenbo, which combines the hard hitting style of the Kenpo-based “Original Method” with that of the fast and flowing block-strike combination of Gung-Fu. We also teach the Cacoy method of Filipino stick fighting, Doce Pares, which is a complete fighting system that includes Eskrima, Eskrido, and Pangamot. Sparring classes are also offered, giving students the opportunity to try new techniques. Throughout the year, Tony Ramos Kajukenbo will host special training seminars that are open to the public. These include “Bring a Buddy to Training Night”, Doce Pares, and the ever popular Yawara training seminar. We also Offer Corporate training for team building. Kajukenbo is a multi-faceted and ever evolving form of fighting system that lends itself to adaptability to meet the needs of the martial artist, as he is potentially faced with the threat from attackers who too have evolved in developing their means of aggression. As a Kajukenbo practitioner, he is able to defend himself against long range attacks, transitioning to in-close fighting, and utilizing ground techniques. He is also able to defend himself against multiple attackers who may even wield weapons. The ability to do this all rests in the knowledge that to the practitioner, anything on his person can be used as a weapon. Likewise, anything on the attacker can be considered a target or vulnerable area. However, it is more than just recognizing the arsenal of weapons that are available to him and knowing where to strike. Equally as important are the precise placement and sequence of these strikes executed in a manner that is efficient, frequent, and devastating. There are no wasted movements. A block becomes a strike or is accompanied with a simultaneous strike. Motion flows with no apparent break in the flow, moving from striking area to striking area. Our goal is to make the attacker stop.